This photo was taken and editted on my phone - apologies for the crazy blue tone! I've accidentally deleted the original image! So as some of you are aware from me previously mentioning on here - I've recently been employed to work at Monsoon/Accessorize. Without rambling on.. I'm loving my new job! Anyway, here's a few pieces of jewellery I picked up to wear for work! I'm almost certain more jewellery is soon going to end up in my possession very soon! I'm absolutely loving what Accessorize is stocking at the moment! Gold chains, silver ropes, sterling silver and many colourful bracelets. I've really tried to mix and match my pieces until I do happen to purchase more bits in the near future! I'm thinking of doing an outfit post perhaps on a couple of the bits I purchased from monsoon to wear as uniform whilst at work - what do you think? P.s these items are gorgeous!! i really like the silver rope necklace!! I really like the jewelries that you picked up! And I'd love to see an outfit post! 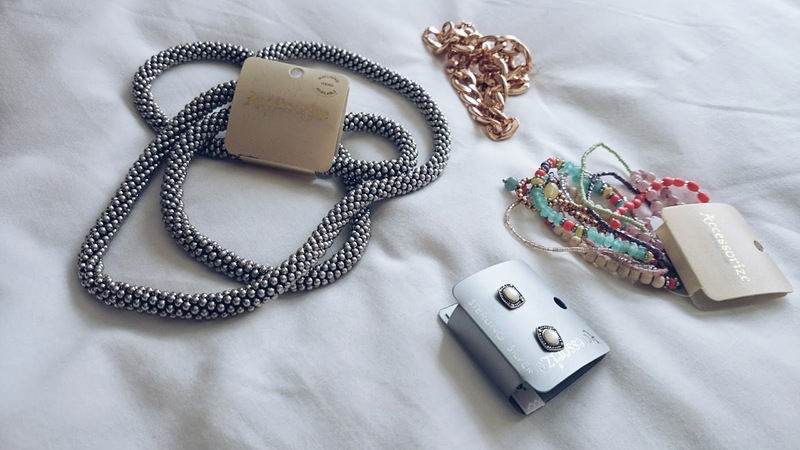 I love the silver necklace :) you're so lucky to get a staff discount in Accessorize, I love their stuff at the moment! Cute accessories! Congrats on the new job!